Major player in Kadima steps down, complains that Knesset isn’t the place to go to have an influence. 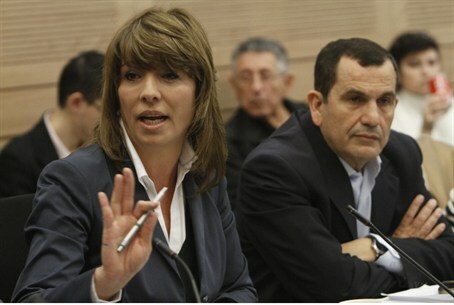 MK Ruhama Avraham-Balila of Kadima has announced that she will be leaving politics for the foreseeable future, and will not seek a seat in the 19th Knesset. “I decided to take a break from serving in Knesset and to look for another, different way to bring my views to reality in the public domain,” she said. Avraham praised the party she is leaving, saying, “Kadima is a centrist party made up of the best and most experienced MKs in the Israeli politician scene, and as such, it deserves to be a large, influential, leading party. “On a personal level, I merited to serve in Knesset for ten fascinating, challenging years." “I hope for Kadima’s sake that Ruhama changes her mind and returns to be one of the movement’s front leaders,” he added.